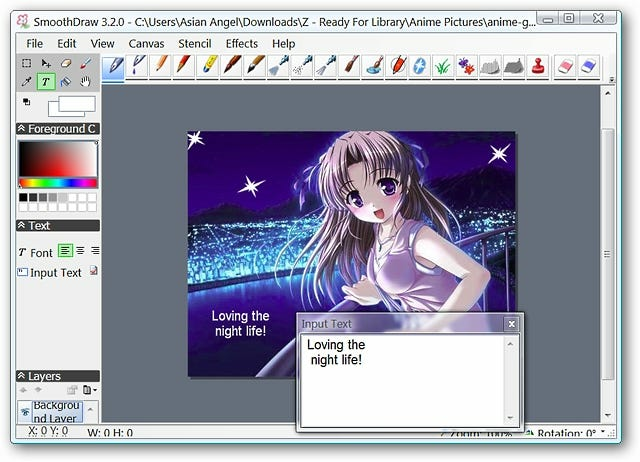 Feeling in an artistic mood and looking for a nice program to express yourself with? Enjoy a relaxing afternoon or evening with SmoothDraw. 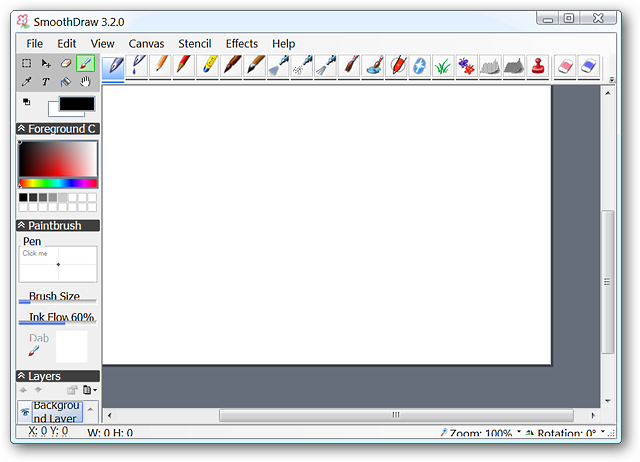 SmoothDraw is quick and easy to set up on your computer. Once you have finished the installation, this is what you will see when you start SmoothDraw up. The layout is nicely laid out and easy to navigate. A good look at the various menus for SmoothDraw. Everything that you need is here and there are no options for you to have to worry about. 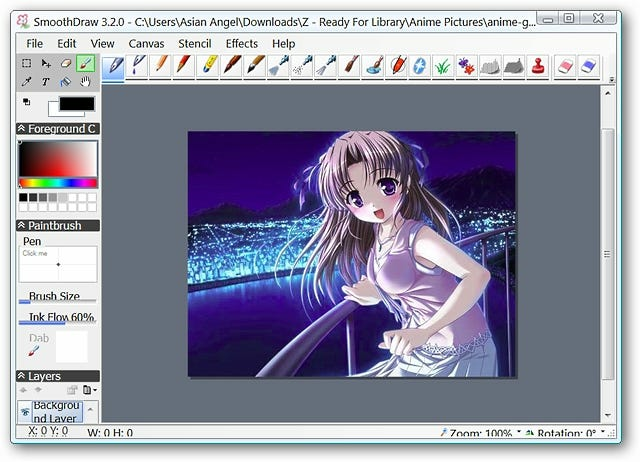 For our example, we decided to do some modifications to the anime picture shown below. Working on typing some text after adding three large stars to the skyline in our picture. The text is easy to move to the location that you need it to be in for your images. The Input Text Box makes it very convenient to work with text while you are typing (nice!). Here you can see where we decided to go back and add some very small stars to help fill out the skyline. Notice the brush size and ink flow adjustments in the left side of the window…this makes it very easy to adjust the pencils, pens, brushes, and effects to the exact size and style that you need (terrific!). 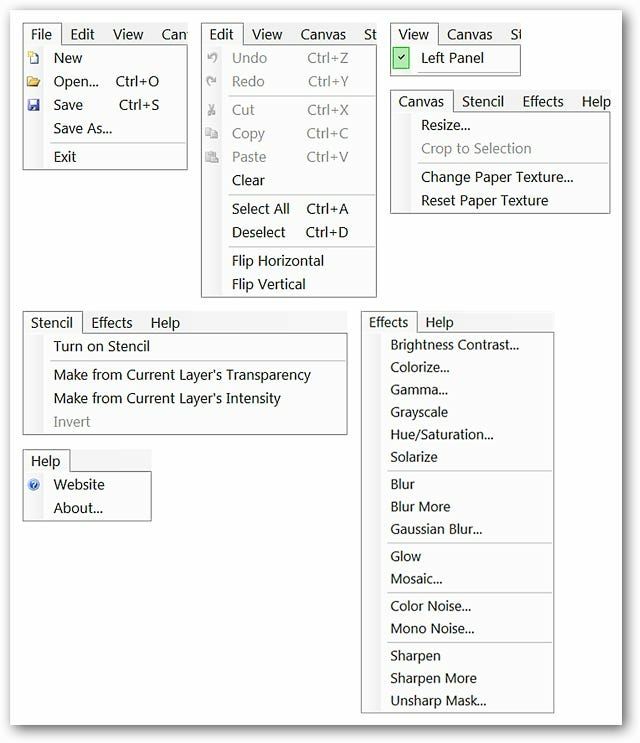 Once you have finished drawing or modifying your images, SmoothDraw can save them in the following formats. 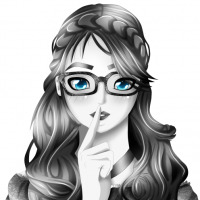 Whether you are looking to draw free-hand or modify images, SmoothDraw can be a lot of fun for you and your family. This wonderful little program can be especially nice to have around for your children.